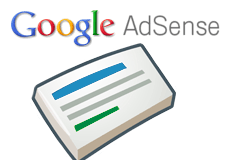 Google has been sending AdSense publishers optimization tips since 2007. Most publisher I know ignore them because they are mostly automated and don't really share that much detail. Google has announced they are upgrading those optimization tips to tease you on how much money you can potentially make if you follow their advice. Google said they added "a graph that visualizes your expected revenue gain from a suggested optimization." Yea, pretty enticing now, don't you think?